Put together a list of 4 people you would like to thanks to this month. Dig your stamps out of wherever you shoved them after mailing your holiday cards. Write (and MAIL) one card a week for the rest of February. Thank yourself for brightening someone’s day. 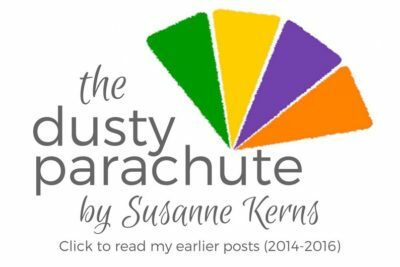 This post is part of my Dusting Off My Parachute Facebook Group. You can find the original post here. Get more daily micro-resolution inspiration over at my Dusting Off My Parachute Facebook group. Hear about my son’s latest fart jokes and which piece of furniture my dog destroyed today at my FB Page. ← Is It Your Thyroid? Thyroid Awareness Month.